As we prepare for the start of The Decorative Antiques & Textiles Fair at Battersea Park on Tuesday, we’ve been reflecting on the way the industry has evolved since we set up shop at the turn of the millennium. In the decade and a half that’s passed, we’ve seen highs and lows but, post-recession, the antiques market is buoyant once more. We anticipate a busy fair next week, and there are several pieces that we’ll be bringing along (unless a buyer pips fair-goers to the post and buys it before we set off!) which are reflective of current interest. 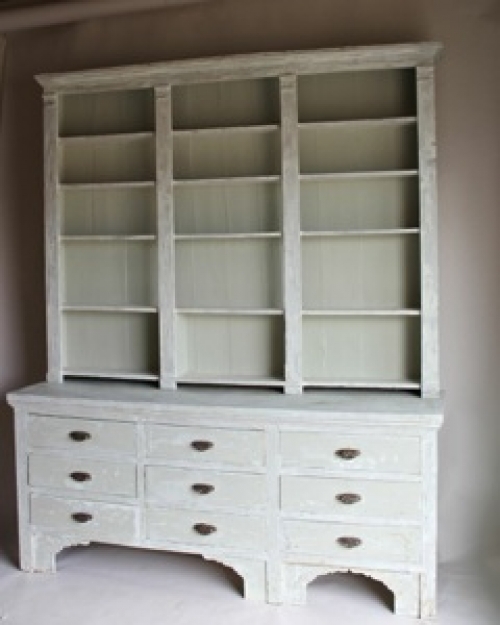 Painted furniture is still enormously popular and the French pharmacy cabinet that we’re bringing to London is just one of the pieces which are highly sought after and sit beautifully in a modern country style kitchen. Mid century furniture is hugely on trend at the moment on both sides of the Atlantic, and collectors are looking for iconic and unusual pieces, which juxtapose beautifully in both contemporary and period property settings. In particular, these pieces are extremely effective in small-scale apartment settings and really ‘lift’ and add the wow factor to otherwise neutral rooms. Of course Norfolk Decorative Antiques is renowned in the industry for its lighting and chandeliers and, as you would expect, we will be bringing some rare and beautiful pieces to Battersea. Collectors are leaning towards ‘airy’ lighting at the moment and we sourced a fantastic range during our recent European buying trips. As a sneak preview, we thought we’d share a rare Venetian-made Raak hanging light, which is making the journey to London with us. We are enormously looking forward to catching up with friends and colleagues at The Decorative Antiques & Textiles Fair – it really is a unique coming together of talented craftsmen and women and those who love our industry, and we are proud to be a part of each show. 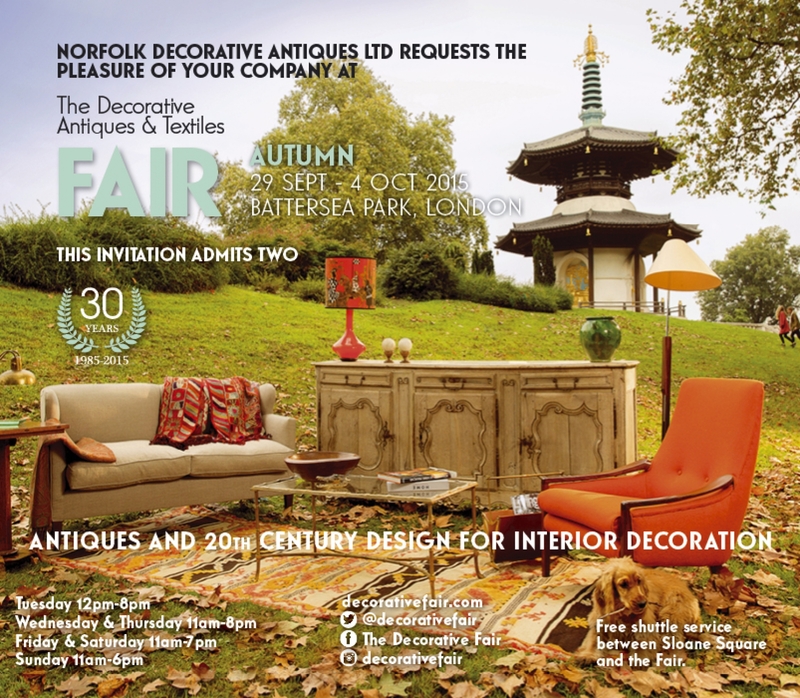 Be our guest at The Decorative Antiques & Textiles Fair, Battersea Park from 29 September – 4 October. Simply print and bring along the invitation below – see you there!